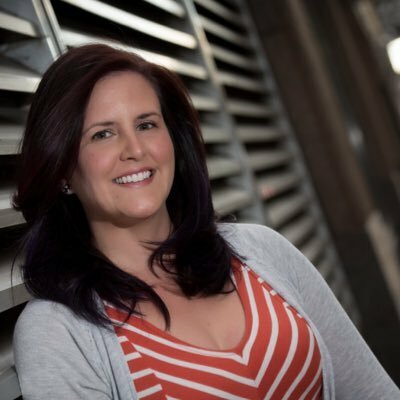 It is always a magical experience to talk to an author about their debut novel, and today Crystal Cestari shares details about THE BEST KIND OF MAGIC. Crystal, what was your inspiration for writing THE BEST KIND OF MAGIC? My favorite show of all time is Buffy the Vampire Slayer, and one thing I always appreciated was how Buffy was handling such a powerful responsibility while the world around her had no idea. My narrator, Amber, does not save lives, but she shares that struggle in that her matchmaking ability is not something she can control or turn off; she's fighting her own good fight everyday in the name of love. Stories with a hint of magic have always pulled me in, and I'll never turn away a good romance, so this book is a mashup of two favorite genres. I've been writing since I was very young, and have dreamt of being an author for just as long, but this story lit me up like no other. I wouldn't say writing it was easy by any means, but the words did come together at an unprecedented pace, and I felt so connected to my narrator and her journey. Something in me said I needed to try and share this story with the world, and I've never had that feeling before. It's not the most efficient method in the world, but I write all my first drafts longhand. Something about connecting pen to paper works better for me than staring at an intimidating blank screen. Plus, I can draw little doodles in the margins and leave notes for future drafts. Where I write can vary, but I usually don't listen to music, since I have a tendency to get distracted and start singing along. Don't be too hard on yourself during any step of the process! Nothing comes out perfect the first time, so just take it easy and enjoy the journey. What do you hope readers will take away from THE BEST KIND OF MAGIC? I hope readers will laugh, have fun, and celebrate the people they love after reading this story! Crystal Cestari lives just outside Chicago with her daughter. Her likes include ice cream and bulldogs, and dislikes span from broccoli to wet sneakers on linoleum (the worst). She always carries around a notebook to scribble down ideas. Writing longhand works best for Crystal (even though it's the slowest method ever) because looking at a blank piece of paper is somehow less intimidating than a blank screen. Plus, there are so many pretty notebooks and pens to doodle with! 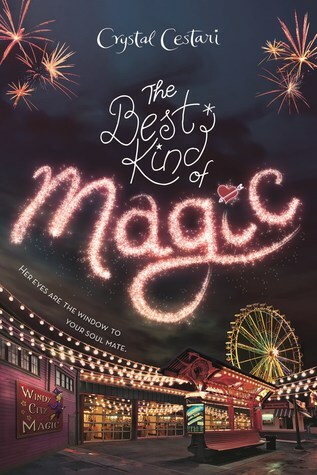 Crystal has wanted to be an author since the fifth grade, and with her debut novel, THE BEST KIND OF MAGIC published, we are glad she stayed on track! Have you had a chance to read THE BEST KIND OF MAGIC yet? Have you been inspired by your favorite TV shows? Do you sometimes feel intimidated by the daunting blank screen? What has helped you get past the screen? Share your thoughts about the interview in the comments!